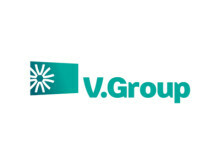 V.Group senior executives held a series of high-level meetings in China week commencing 12 March to progress the company’s ambitious growth plans in both the commercial and leisure shipping segments. Now in its third year, the 2017 V.Group global graduates arrived at their first port of call on Monday 9 October – Glasgow – for an induction before taking up the first of four assignments, which will be undertaken over the two-year programme. V.Group’s Kiran Francis Benny has been inducted as a full member of the livery of the Honourable Company Of Master Mariners (HCMM). Members of the local shipping community in Rio de Janeiro gathered last night at the annual V.Ships event at the Copacabana Palace Hotel to celebrate and recognise the importance of partnerships in the industry. Nordic Tankers Trading has announced their intention to create a new company and selected V.Group as a partner to invest in the specialist ship management ship operations in Scandinavia. Employees from V.Group’s Singapore office joined their Singapore Shipping Society peers to volunteer at a Children’s Cancer Foundation event. 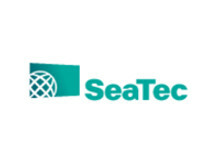 A group of Glasgow shored based employees recently visited one of our managed offshore vessels to help them understand more about life at sea. In 1976, Mike Littledale and Kelvin McIldoon joined Silver Line Ltd, which would eventually become part of V.Group. The IMarEST, which represents members from across 120 countries on top issues affecting the industry provides professional develop, networking and outreach opportunities – inspiring the next generation of mariners. Costas Kontes, general manager of V.Group’s ship management operations in Greece and general secretary of the International Propeller Club of the United States Port of Piraeus gave the keynote speech at this year’s Amver awards ceremony. V.Group’s support of reservists was recently recognised in a visit from commanding officers to the Glasgow office where purchasing officer, Robert McLellan, a reservist for the past six years is based. With an international shipping career spanning 27 years V.Group’s Ingrid Gantard has been the driving force behind the launch of the Women’s International Shipping & Trade Association (WISTA) branch in Monaco. 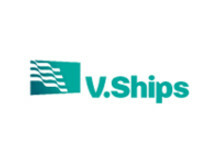 V.Ships Offshore has achieved ISO certification for their Aberdeen office, completing ISO9001:2008, ISO14001:2004 and OHSAS18001. Lee is our Cadet Training Officer based on the Isle of Man. He grew up in South Africa and as a former seafarer who came ashore in June 2014 we caught up with him to find out more about what he does, how he got to where he is today and who 'stole' his nose when he was six years old. There are a number of recognised industry standards, which have been put in place to protect and continuously improve life for those at sea. And ensuring our seafarers understand what they can expect as a result of these standards is an important part of V.Group’s training matrix.